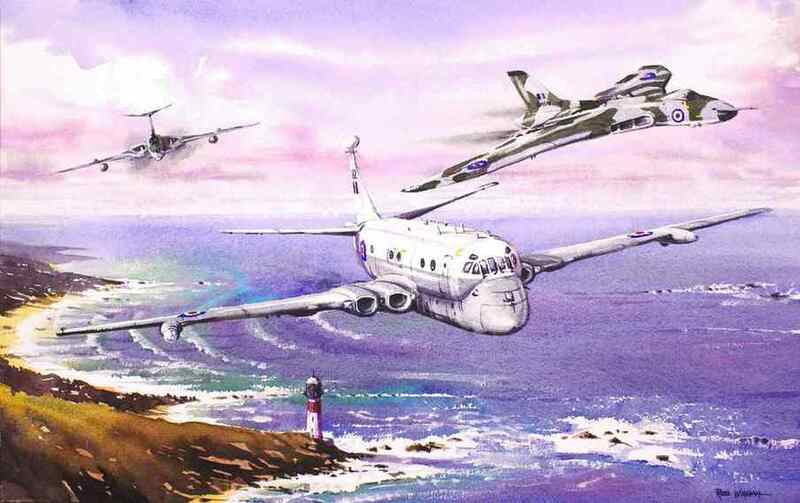 A Nimrod MR1, Vulcan B2 and Victor Mk 2 move together in formation over the coast. Limited Edition Prints available (of 100), 37 x 24 cm. £32 unmounted, £39 mounted ready to fit a 20 x 16" frame. Contact Us about this print!